Elder Connections now offers Caregiver’s Gift Cards – a perfect way to try our services. Whenever the elderly are in need of service and caregivers feel that they need a break, it allows Elder Connections to do what they do best – which is serving the elderly in need of home care and geriatric care management. Your Gift Card provides a minimum of three hours of home care service for $69. Use your Gift Card for respite care, meeting a friend for lunch, a doctor’s appointment, birthday celebration, and much more. The possibilities are endless but the gift of time for your caregiver is priceless. 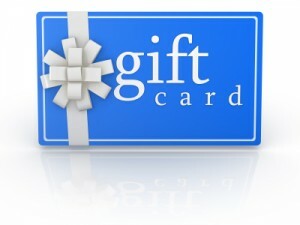 Gift Cards may be ordered by calling 888.433.0040. Or just fillout our short request form and you will receive a phone call to arrange our home visit. Better SeniorCare accepts major credit cards. Elder Connections services are limited to the Philadelphia area and surrounding suburbs.